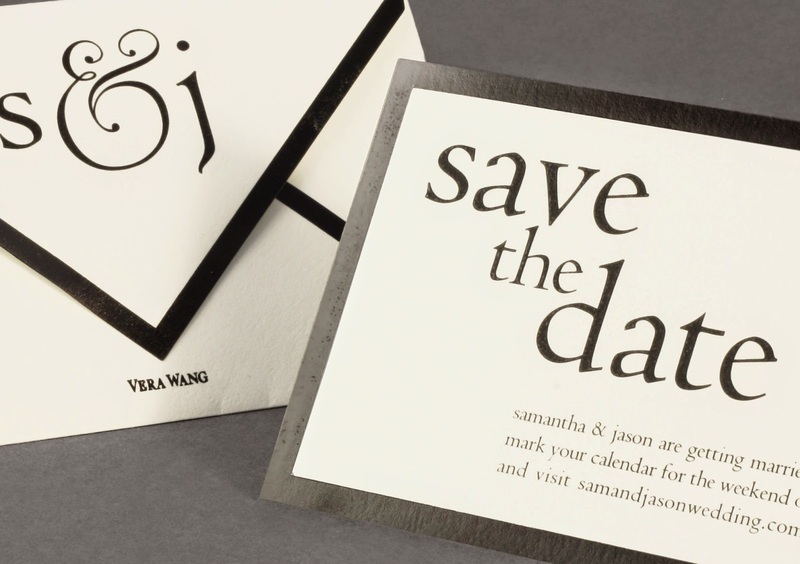 We're so excited that our new Vera Wang On Weddings album is finally out in the market. Carefully curated for the fashion-forward bride, this second volume is brimming with modern, elegant designs featuring unexpected details, rich new textures and a fresh color palette meant to truly capture your individual style. To celebrate these new designs, we'll be featuring a series of posts dedicated to our favorites. First up: black and white! This color combo manages to feel both classic and modern at the same time, which is why we're delighted it's so on trend right now. 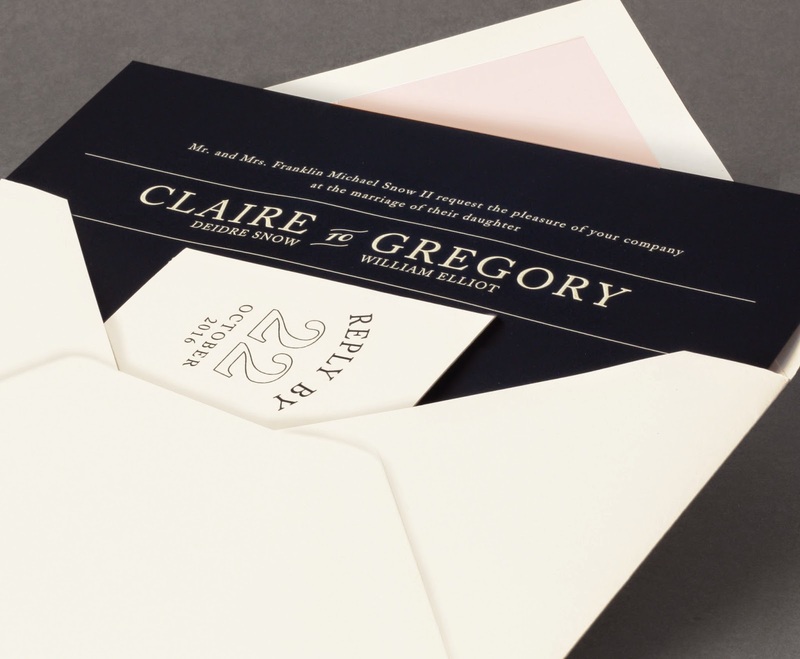 The bordered card with a matching bordered envelope is a steadfast favorite in our collection. This time around, we gave it the "black tie" treatment, making it the perfect suite for an elegant, contemporary affair. 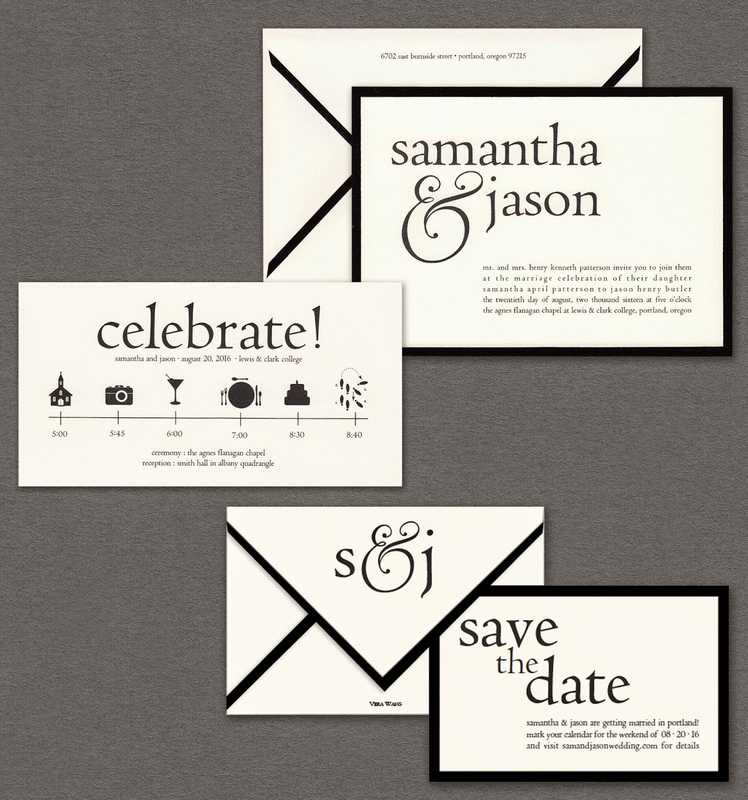 We also love the oversized ampersand and sweet graphics on the schedule card that add a touch of playfulness. 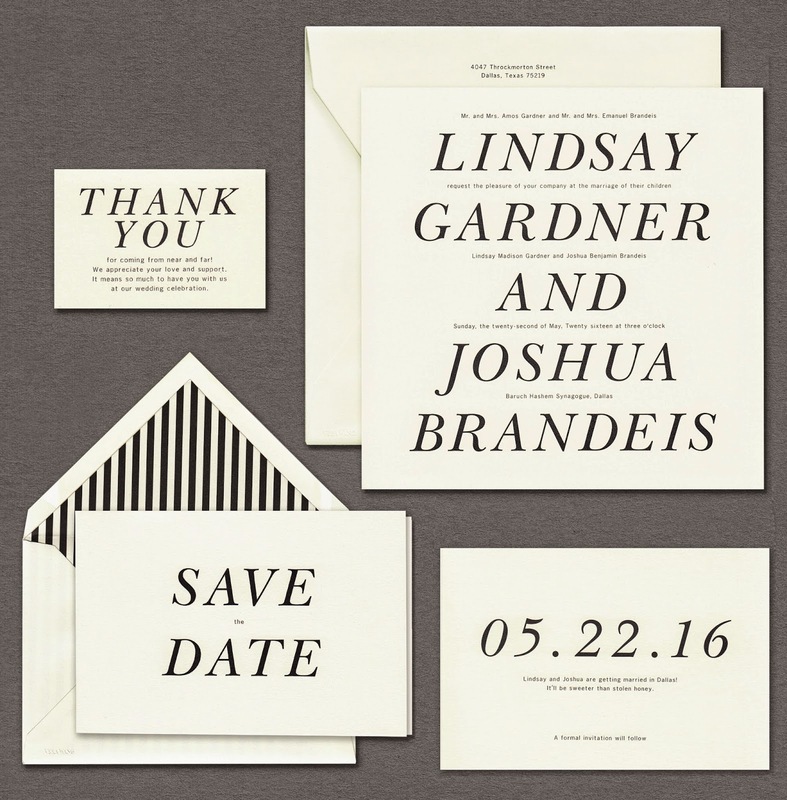 We were obsessed with oversized in this collection, and this extra large square invitation—paired with an extra large font—is proof. A black and white striped lining is an unexpected detail that gives this sophisticated suite a bold, fun touch. 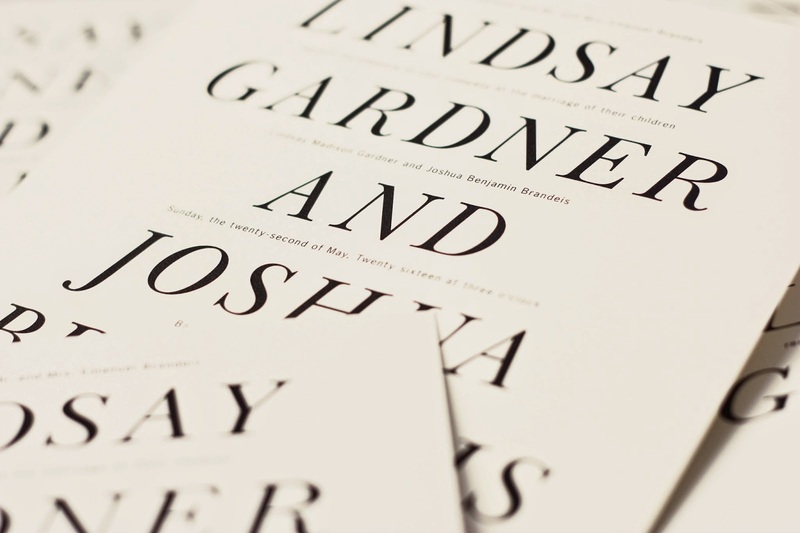 White and ecru are usually the paper colors of choice when it comes to wedding invitations, which is why this suite stands out. 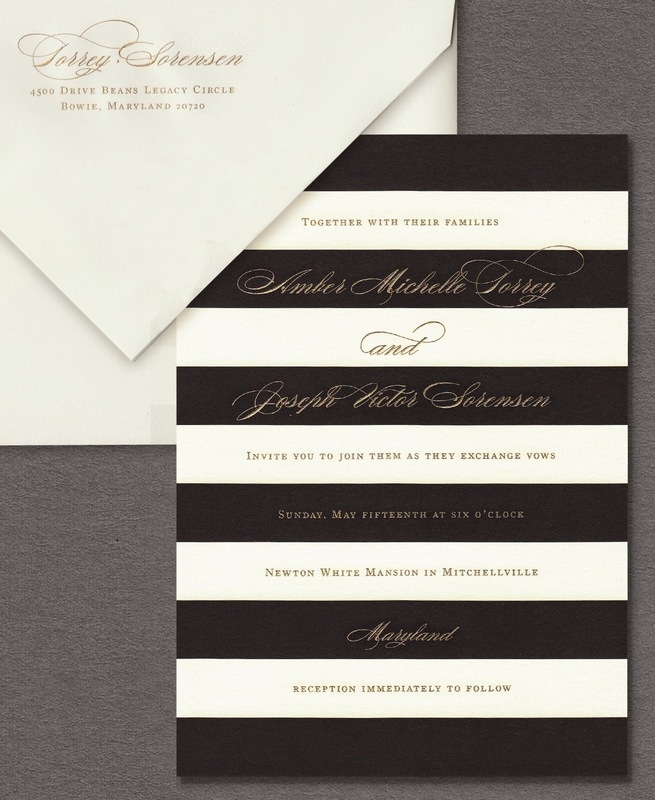 Black paper stock paired with engraved white ink makes for a bold and sophisticated look. 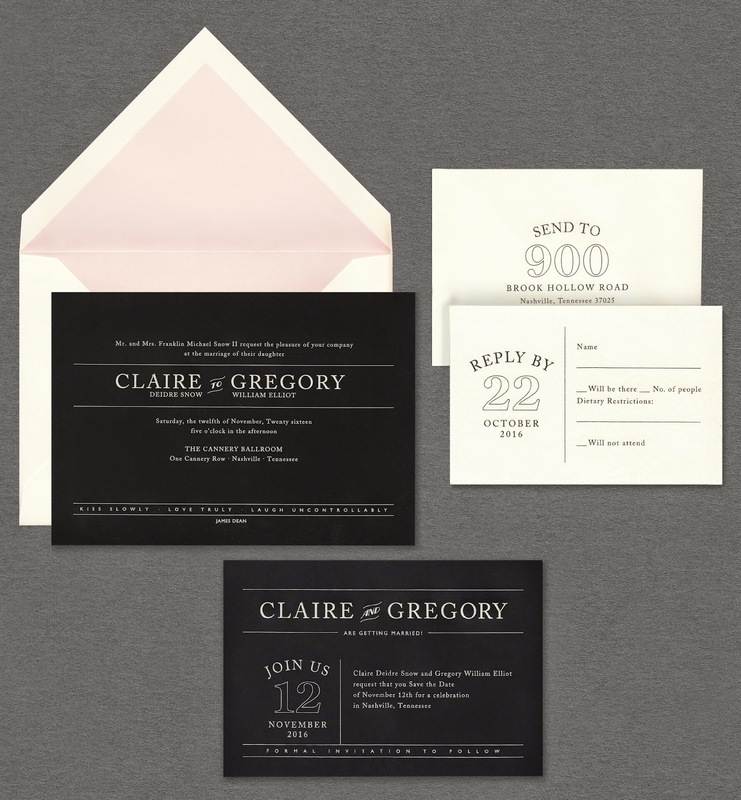 Details like oversized numbers and playful fonts add a touch of welcome whimsy. 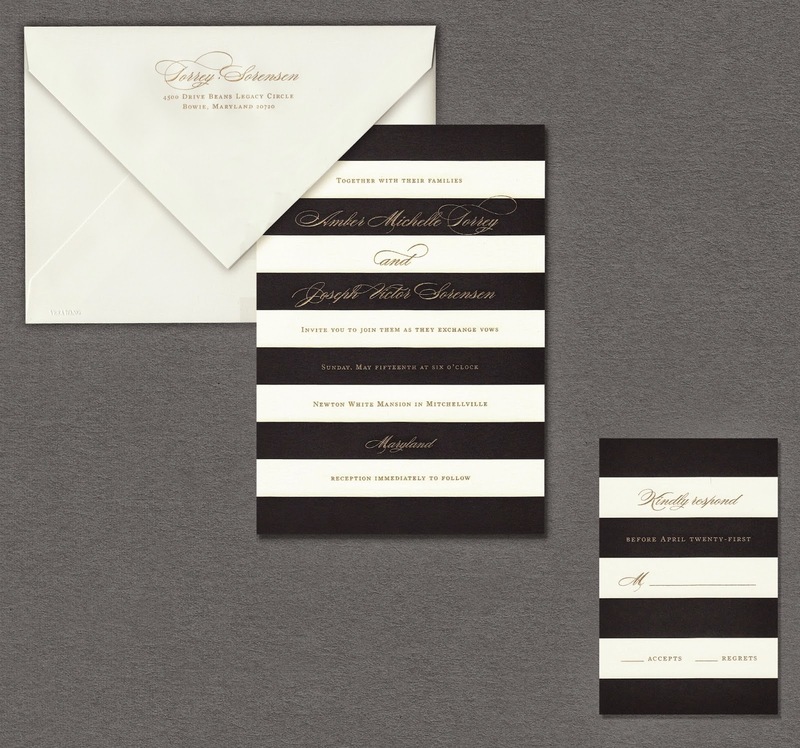 The bold black and white stripes that define this invitation suite are quintessentially Vera Wang. The addition of gold engraving to this design makes it the perfect definition of modern elegance. Click here to browse our entire Vera Wang On Weddings Volume Two album.